PRISTINE model like home in the Estates Section of River Club, located close to VRE, shopping & schools. 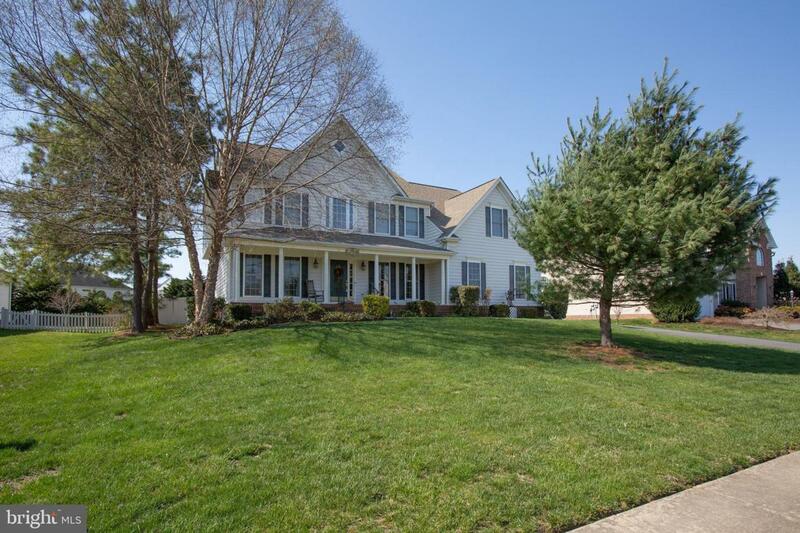 This meticulously maintained 3 level colonial is situated on a very large lot (.64 ac). 5 br, 4 full ba layout includes a main lvl bedroom with a full bath off the side and additional 4 bedroom upstairs. The stupendous master includes it's own bath with large walk in closet. 2nd br upstairs has it's own bath and the 3rd & 4th br upstairs share a jack and jill bath. Gourmet kitchen with island, large pantry, breakfast nook leading to deck overlooking your own private paradise with rear privacy fenced yard and custom patio with a fire pit. Separate FR, LR & DR. High speed internet. Sideload garage with workbench and wifi garage opener. Other items include alarm, sump pump, 2014 freshly painted, 2012 new HVAC (dual zone), new hotwater heater, ceramic tile, hardwood floors, laundry room with deep sink, extended parking big enough for an RV, chair rail, crown molding.......UPGRADES GALORE! Truly a MUST SEE!